TOYOTA CERTIFIED!! 2018 TACOMA TRD SPORT DOUBLE CAB/ LONG BED, Navigation/Nav/GPS System, Low Mileage, 4WD, TRD Sport V6, Electronic Stability Control, Entune App Suite, Exterior Parking Camera Rear, Radio: Entune Premium w/ AM/FM/CD/App Suite, Smart Key w/ Push Button Start, TRD Sport Package, Wheels: 17 x 7.5 Machined Alloy, Wide Angle Front Fog Lamps. We research all prices before posting them to provide a HASSLE-FREE purchasing process. 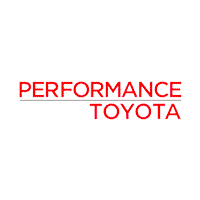 Performance Toyota offers low, competitive APR rates on all Certified vehicles. We also work with all credit scores.For details CALL 610-678-3425...PERFORMANCE TOYOTA: 4681 Penn Ave. Sinking Spring, PA. 2018Toyota Tacoma Certified.Odometer is 4854 miles below market average!